connection through shared-dreaming. I have had this show on my radar for some time and after watching the pilot episode during the sneak peek airing I was instantly hooked — I enjoyed it so much I actually watched it a second time a few days later. I had the opportunity to attend the panel at New York Comic Con and as an added bonus I was able to sit down with the cast and creators behind the series. 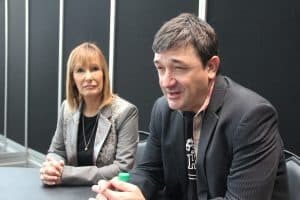 While interviewing Blake Masters and Gale Anne Hurd during New York Comic Con I learned some valuable insights into the motivations behind and creative direction for the characters and the show. In talking with them they felt USA’s offerings and support of series like Mr. Robot and Colony made them comfortable with the network being the home for Falling Water. in 18 years of his career, this is the first character whom he has played that is not hell-bent on destroying the world. “This is a person I relate to, who speaks like I speak, and I can draw on some of his own personal experiences in portraying him” — quoting Lee. Viewers of the pilot will see this very quickly during the pilot episode when we are introduced to Taka. With regard to the casting of British actor David Ajaja, who plays Burton in the series, a creative decision was made to use his real accent instead of forcing him to sound American. While David Ajaja, who plays Burton, was unable to attend New York Comic Con because he was performing in a play in London called One Night in Miami – a stage play about the legendary boxer Muhammad Ali. However, both Gale Anne Hurd and Blake Masters expressed their admiration for his portrayal of Burton, a fixer who is searching for a lost lover who may or may not exist in reality. Masters disclosed that his intention is to cast relatable characters across all spectrums and also be on the lookout for a transgendered character. 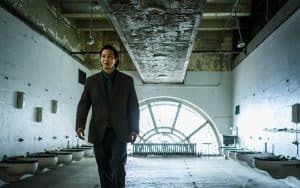 One of his goals is to reach a point where gender or race is not a talking point for casting – it is about relatable characters which appeal to all audiences. Tess, played by Lizzie Brochere, is a very instinctive treand-spotter who sees patterns as they emerge. In the pilot we begin to see her as a person attempting to piece together a mystery about her past. She is a bit withdrawn and not trusting – even herself. However, we come to learn that she is open and less guarded in the dream world. According to Lizzie, Tess begins to find her ground as the season progresses. Zac Orth, who plays Bill Boerg, describes the show as visually arresting, with great characters, and assumes a great deal of intelligence of the audiences. The character of Bill Boerg is an energetic and enthusiastic tech billionaire seeking to prove the existence of shared dreaming. He offers to help Tess but he does have his own agenda. 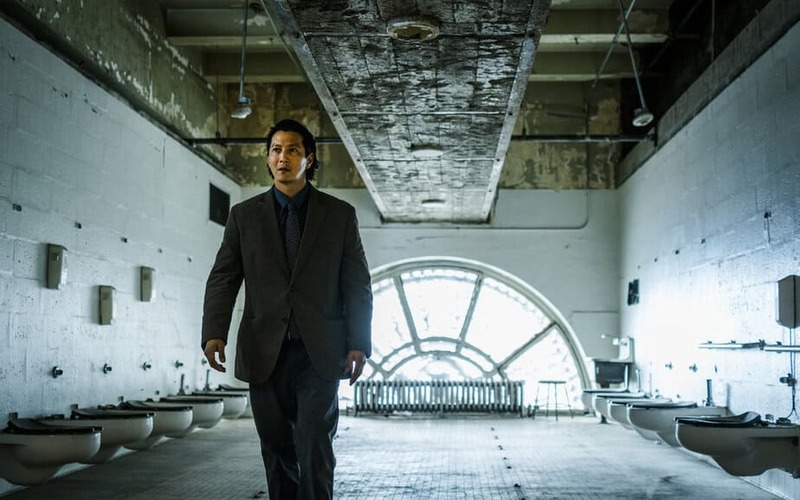 Will Yun Lee says the cast works well together and contact each other when they receive the script. While talking with the cast and creators they have all mentioned that they pay more attention to their dreams and have a whole new appreciation for them. Gale Ann Hurd said her dreams “whispered to her in the past and now they are shouting”. The second distinctive factor are the visuals. The dream sequences are stunning, intriguing, mind-bending which kept me engaged the entire episode. As Blake Masters put it so eloquently “you cannot watch this show while folding laundry”. In addition, the series is shot in New York and while interviewing the cast they all say they love shooting in the city. For Zac, being a New Yorker, he was immediately happy to know the series is shot in his hometown. Third is the unique premise of dreams and shared-dreaming. Without trying to draw on any other comparisons the premise of Falling Water is fresh and unique. While talking with the cast and creators they have all mentioned that they incorporated studying their dreams in preparation for their work on the series. Each have said that they pay more attention to their dreams now and have a whole new appreciation for them. Gale Anne Hurd said her dreams were “in whispers and now they are screaming”. Tapping into her subconscious and using that tool helps her solution her real life work. As an added bonus Gale Anne Hurd informed me to be on the lookout for their online project which is tied in with the series – http://gooddreamer.usanetwork.com/ – which will allow viewers to interact with other fans to discuss the series and the dreamscape. Overall, Falling Water is a series I will place high on my list of shows to watch and I hope you enjoy it as much as I do. Click here to join the conversation about Falling Water on the FoCC forum.